Transforms skin for an extended natural tan up to a week. Balances skin’s pH levels to produce tan results in half the time. Helps hydrate and moisturize the skin, helps reduce free-radical damage and environmental stress on the skin. 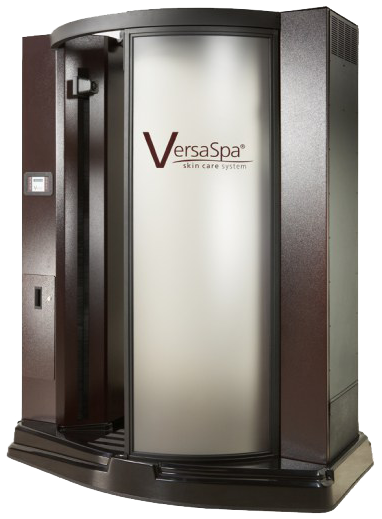 Leave the booth with instant cosmetic color while an extended spray tan develops in 4 to 8 hours. All bronzers are available in Single or Triple shades. Add an aromatic experience to the Mystic Tan session, leaving skin with a light and refreshing fragrance. 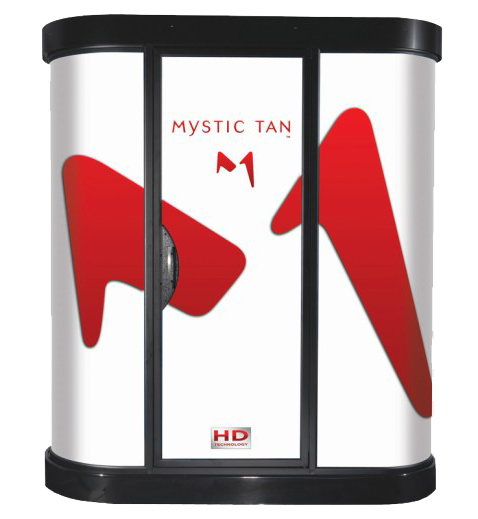 Step into one of our Mystic booths and experience the ultimate in sunless tanning. 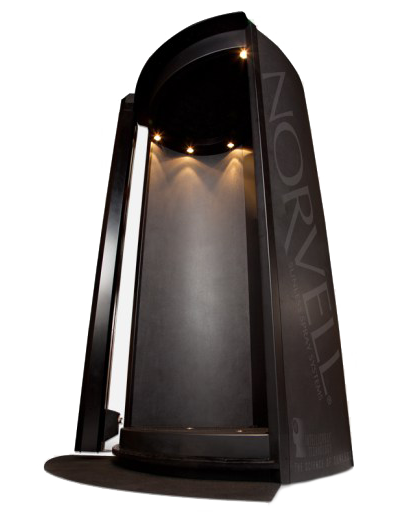 State-of-the-art automatic spray tanning booth utilizing Norvell’s patented iNTELLISPRAY Technology and Smart Booth design.